OpenWorks Engineering is a hi-tech product company developing world-leading security and counter-terrorism products. The company has developed an innovative physical drone defence system, named SkyWall. The system offers government authorities and private security organisations the capability to protect the public, VIPs, prisons and critical national infrastructure from the threats posed by commercially available drones. 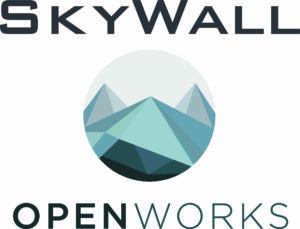 SkyWall offers a cost effective, proportionate and physical response to the drone threat, allowing the operator to seize and bring down a drone to a controlled landing under parachute at a time and place of their choosing, within a populated urban environment. Using a combination of a pneumatically powered smart launcher and an intelligent projectile, the concept embodies a simple principle: catch the target drone in a net. The SkyWall product range offers drone security in man portable and temporary or permanent installations. The SkyWall300 is an automatic system that can physically capture a drone in a specifically designed 'drone entangling' net. It uses compressed air to launch a projectile up to the target drone after the system has automatically identified and tracked it. SkyWall300 can be used as a standalone drone capture system but can be integrated with a drone detection and security system to offer a highly capable and easy to operate counter drone solution. A sinlge SkyWall300 system can protect a small area and multiple systems can be networked and deployed to protect a large site. The SkyWall300 launcher can be used with a range of SkyWall projectiles. The onboard targeting enables the system to have a high capture rate by adjusting the launcher aim based on the movement of the target and programming the projectile prior to launch. 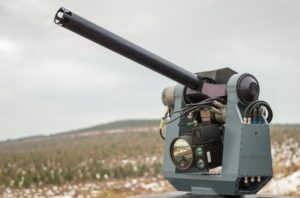 A computer vision tracking module allows the system to automatically follows targets, minimising the operator skill level required. Physical drone Capture - no electronic countermeasure. Very low collateral damage risk.